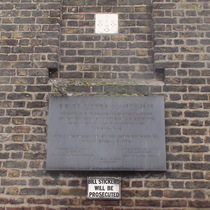 Erected and endowed by Dr Thomas Wood, sometime Bishop of Lichfield and Coventry, born in the Parish of Hackney 1607 and died 1692. The Almshouses and chapel were restored by the Trustees, AD 1930. 2016: These almshouses are on the Heritage at Risk register. Grade II Listed, the entry says: " Late C17 U-shaped range of single-storey almshouses, much restored." In 1906 the Charity Commissioners approved a scheme whereby Bishop Wood's Almshouses were to be administered by the Trustees of Dr Spurstowe's Charity. In our photo the lady in red and her partner are struggling to carry their Christmas tree home. 28 November - too early, surely! In memory of Jean Scott (1921 - 93) founder of The Finchley Society. 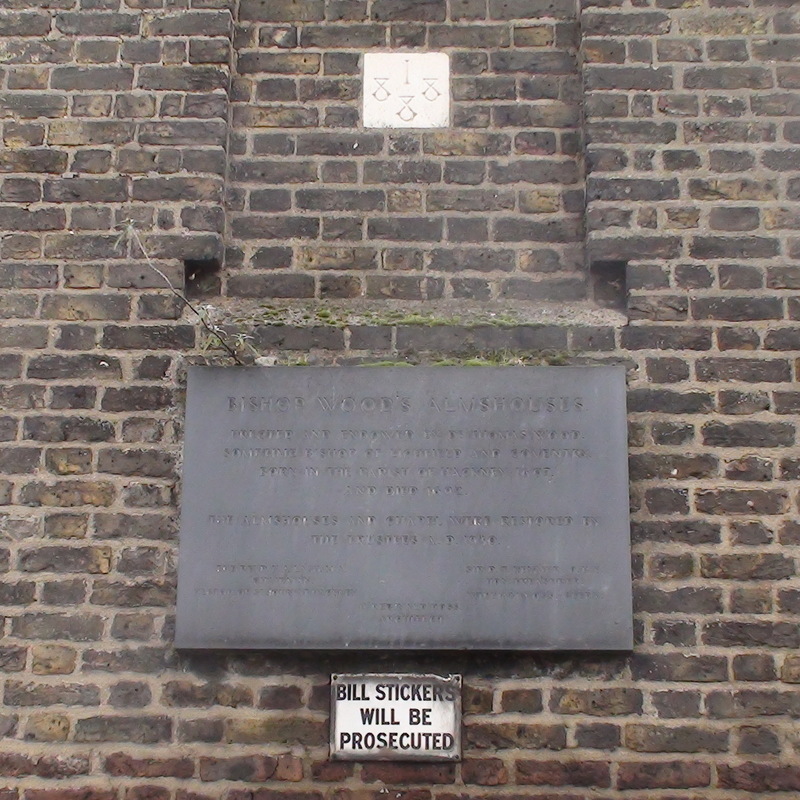 Watch-house, erected 1791, destroyed 1941, rebuilt 1962.